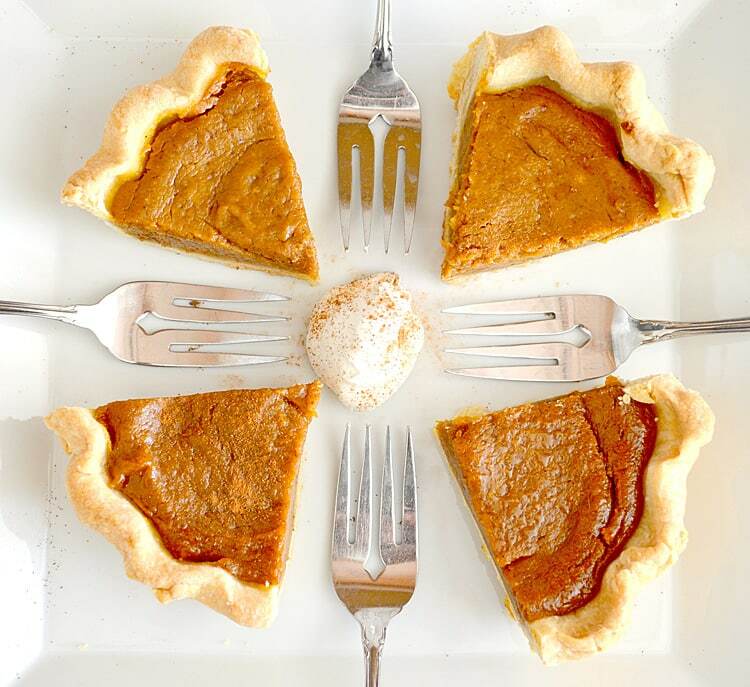 I decided to take on Libby’s Famous Pumpkin Pie veganizing only the evaporated milk and replacing the eggs in a little experiment (which you can view here). 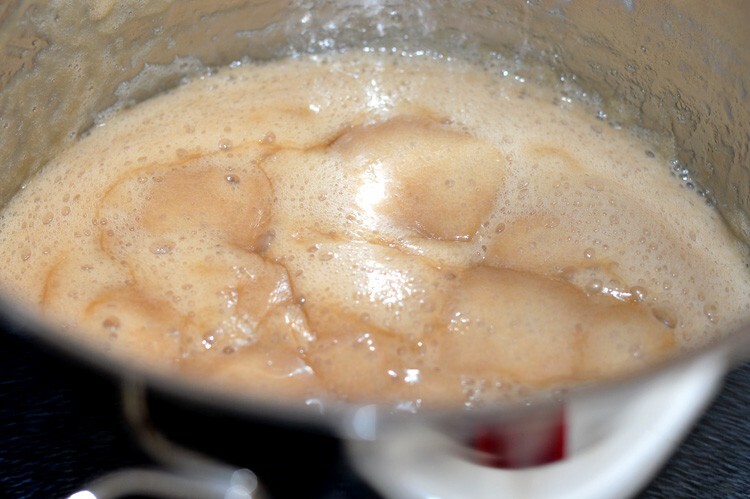 Evaporated Milk is merely milk with 60% of water removed. It differs from Condensed Milk only in that condensed milk contains sugar, salt and vanilla. You could use any non-dairy milk (i.e. coconut, soy, etc.) 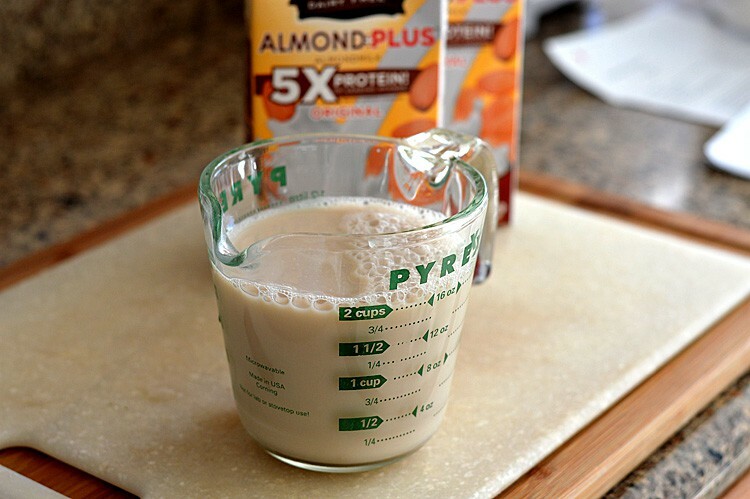 I happen to love So Delicious Dairy Free Almond Milk. I am unsure how rice milk would react in this process as it is much thinner in consistency, but you could certainly try it. Above you’ll see our “before” picture…straight out of the carton. 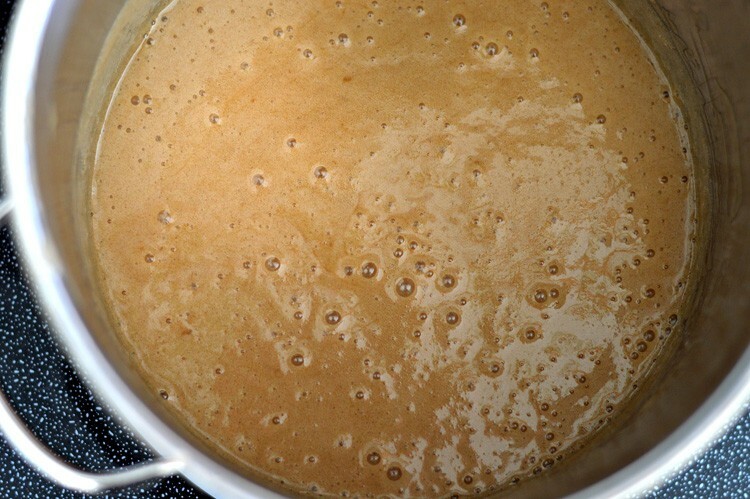 A bubbling simmer is ok, a rolling boil is not. You will first notice big bubbles with a foamy top. As you get closer, that all changes. The color deepens, the foam is gone and the bubbles become very small. I kept a measuring cup on hand to be able to know when I was close to the 2-1/2 C goal. The end result was 2-1/2 C of thick, sweet, yummy condensed milk. 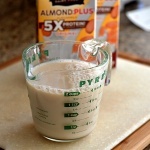 You can skip the extra ingredients and just go with evaporated milk. The process remains the same. But this just proves it can be done. Both recipe processes are the same. 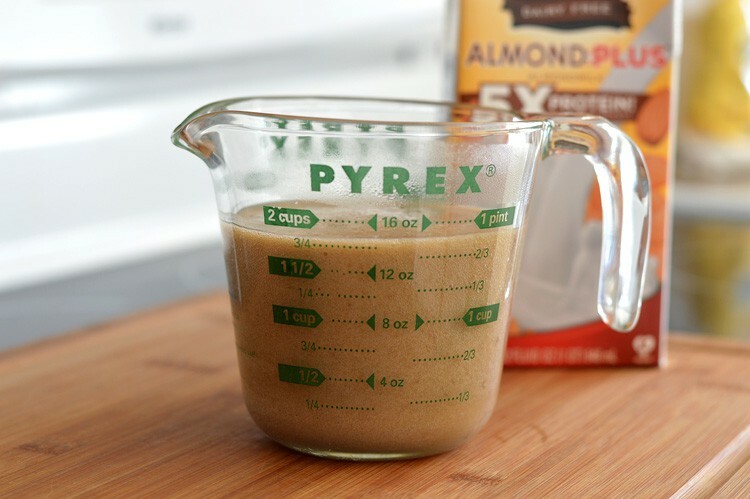 In a large sauce pot over medium high heat, simmer 6 C of almond milk until reduced by 60%. 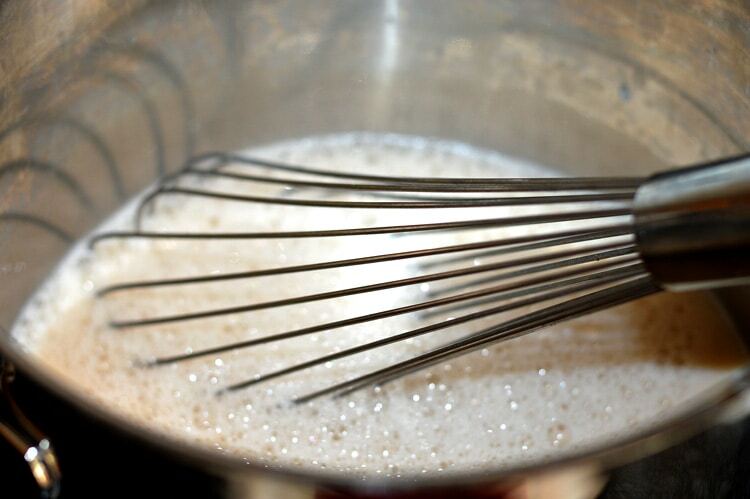 Whisk frequently to avoid scorching. A rolling simmer is ok, but a rolling boil is not. Lower the heat as the mixture reduces down. The reduction process can take up to 2 hours. The completed product can be made ahead and refrigerated for up to 2 weeks. « *2014 Edition* 25 Days of Vegan Christmas Cookies eBook now available for purchase! Did you ever make this in a crock pot?